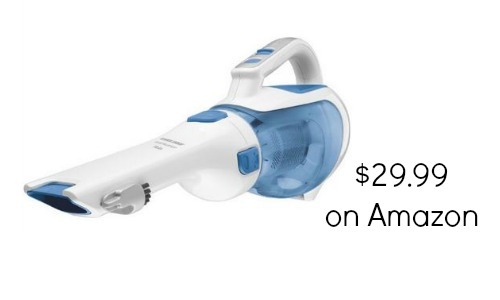 Amazon is offering a Black & Decker Dustbuster for $29.99 (reg. $72). That’s 58% off. I keep this dustbuster around my home and it works just great! It’s pretty powerful too and I love the fact that it has a long reach. It ships FREE with Amazon Prime or if your order is $35 or more.